Multiple Page selection using auto completion and sorting capability. Intended for use as an input field for Page reference fields. This Inputfield connects the jQuery UI Autocomplete widget with the ProcessWire ProcessPageSearch AJAX API. It is designed to be used with multi-Page Reference fields (FieldtypePage). This Inputfield is included with the ProcessWire core, but is not installed by default. 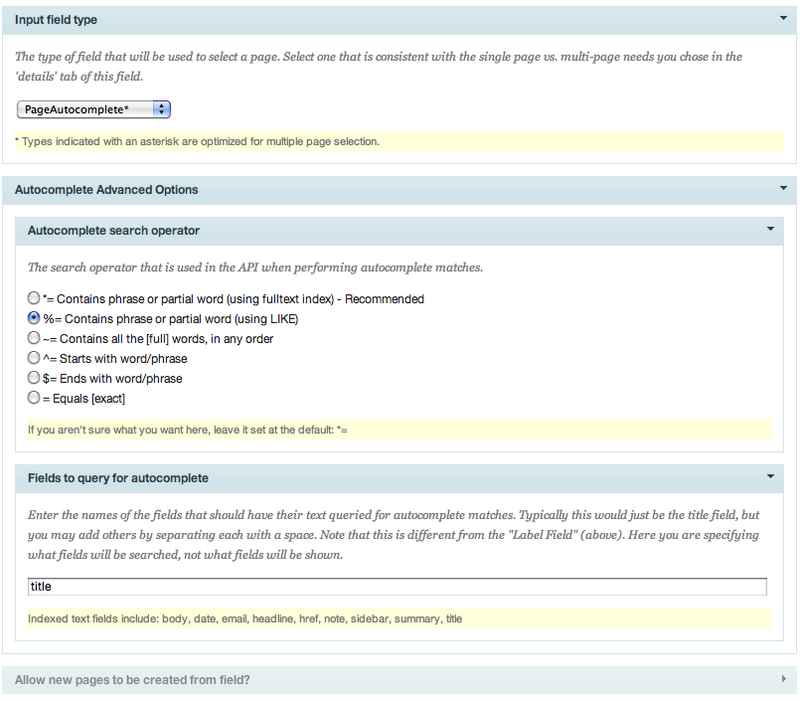 To install, go to Admin > Modules > Inputfield > Page Autocomplete > install. When you create a page reference field, choose PageAutocomplete as the Input field type on the input tab of the field settings.